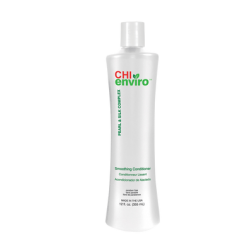 CHI Enviro American Smoothing Treatment is a revolutionary and safe treatment. 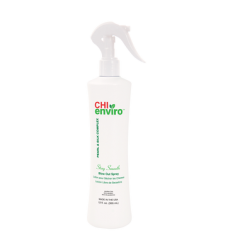 It eliminates up to 95% of frizz while making curly hair manageable. It instantly adds amazing shine, silkiness and condition to the hair. The results of this safe alternative to traditional harsh straightening systems are amazing. 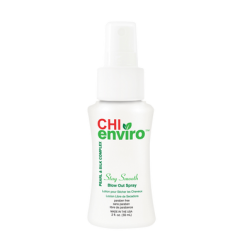 The system safely smooths frizzy, curly hair into beautiful, soft and silky hair. When the powerful, yet gentle, formula is combined with heat from the CHI Iron and dryer the hair is bonded, providing incredible results.